Volunteer with IAMA-IL and help Save A Life. No experience is required, training on-site will be provided. We are in need of 6 - 8 people to be able to properly have all 100+ people go through the program in the allotted time. If you have questions please contact the IAMA Office at office.iamaill@gmail.com or Dr. Suneela Harsoor at drharsoor@gmail.com. 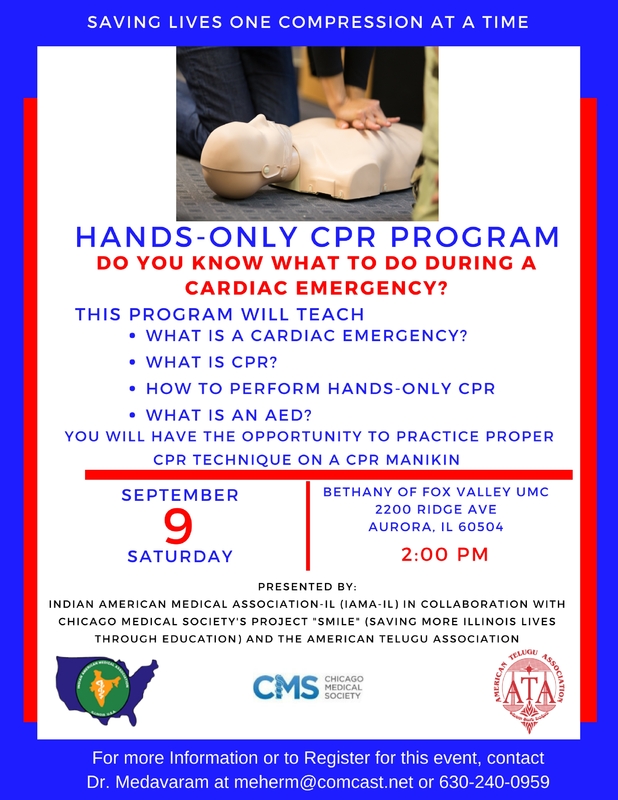 If you wish to attend the program as a participant please contact Dr. Medavaram, to volunteer to assist IAMA with program instruction please contact the IAMA Office or register online. Thank You!